These stunning handmade sugar booties, come in lots of styles and colours. I am delighted to have bu..
A pack of 10 ribbon name labels, ready for you to sew onto all types of garments so they can be easily identified. Great for school uniforms, patients, work wear and so much more. 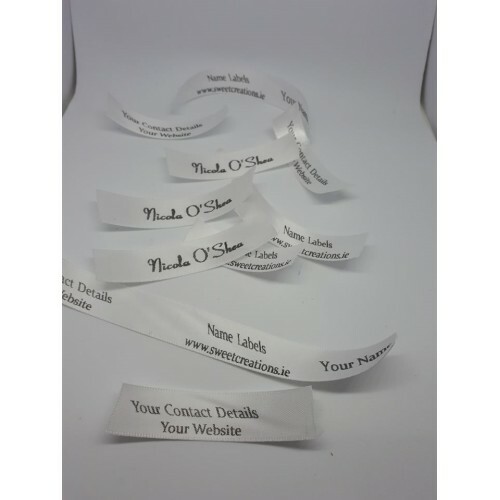 Alternatively you can have a contact number, website, labels for handmade products, website details. Typical width is 15mm. White ribbon and coloured font. A handmade made spray of sugar flowers, perfect for any celebration cake. These sprays can be m..